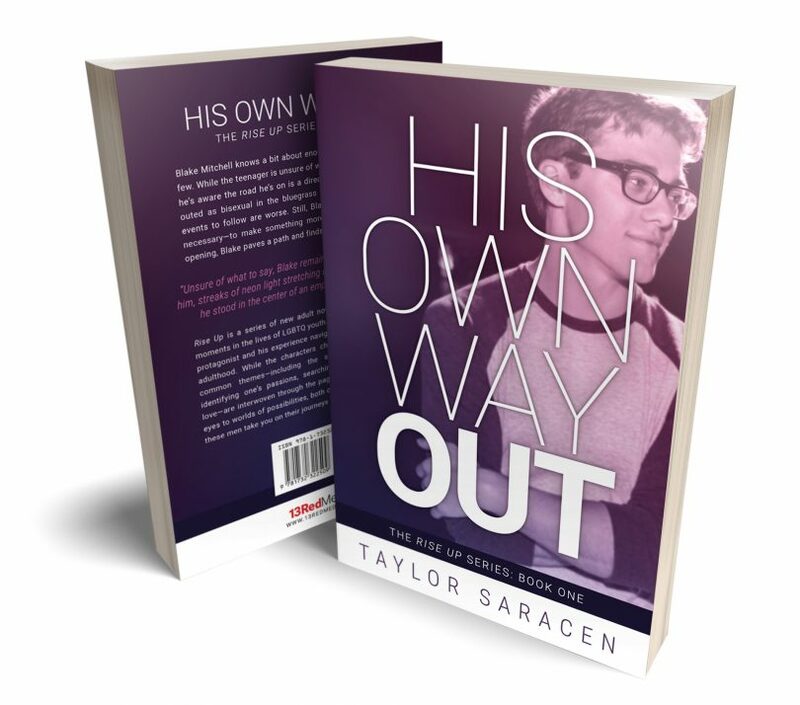 His Own Way Out, a novel inspired by Blake Mitchell and written by Taylor Saracen, will be available in select bookstores and most e-book retailers worldwide starting July 19. To celebrate, Blake and Taylor hit the road for a summer book tour and got to meet lots of lovely fans from around the country and sign their copies of His Own Way Out. Follow the Rise Up page on Facebook to hear about future events and releases in the series. And if you’ve had your chance to read His Own Way Out, please leave a review at one of our online merchants or on Goodreads to help others find us! 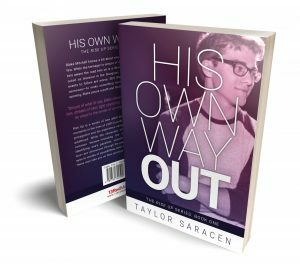 Add His Own Way Out to your reading list or leave a review at Goodreads! Blake Mitchell knows a bit about enough things and a lot about a few. While the teenager is unsure of which direction to take in life, he’s aware the road he’s on is a direct route to desolation. Being outed as bisexual in the bluegrass state is alienating, and the events to follow are worse. Still, Blake is driven—by any means necessary—to make something more of himself. Identifying an opening, Blake paves a path and finds His Own Way Out. Rise Up is a series of new adult novels that illuminates pivotal moments in the lives of LGBTQ youth. Each novel features a fresh protagonist and his experience navigating the ups and downs of adulthood. While the characters change and the stories vary, common themes—including the struggle for independence, identifying one’s passions, searching for acceptance and for love—are interwoven through the pages of the novels. Open your eyes to worlds of possibilities, both conventional and off-beat, as these men take you on their journeys to self-discovery. We’ve concluded our summer book tour for His Own Way Out, but you can follow the Rise Up page on Facebook to hear about future events and releases in the series! Hey there, You’ve performed an excellent job. I’ll certainly digg it and individually recommend to my friends. I am confident they will be benefited from this site. I do not even know how I stopped up here, but I believed this post used to be good. I do not realize who you might be but definitely you’re going to a famous blogger if you are not already. Cheers! Good respond in return of this question with firm arguments and telling the whole thing on the topic of that. Thanks for the marvelous posting! I really enjoyed reading it, you can be a great author.I will make sure to bookmark your blog and will come back sometime soon. I want to encourage you continue your great posts, have a nice weekend! energy to put this content together. I once again find myself spending a lot of time both reading and commenting.